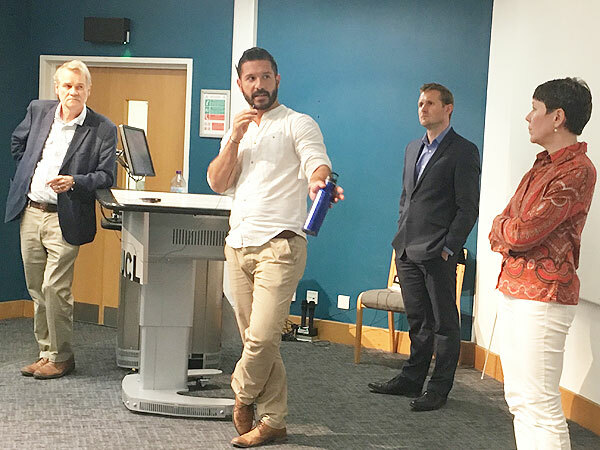 Our 2018 study day was a huge success with 150 enthusiastic participants enjoying 4 brilliant lectures given by members of the Oxford University Expedition to El Kab - Vivian Davies, Luigi Prada, Susanne Woodhouse and Liam McNamara. 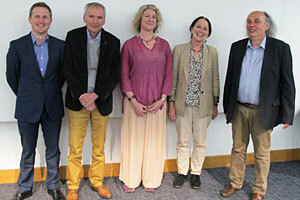 We would like to thank the four speakers for sharing so much of their recent and exciting research with us. Another opportunity to join BSS for a course in Luxor. This time, for the first time, we are taking our acclaimed hieroglyphs teaching to Egypt. 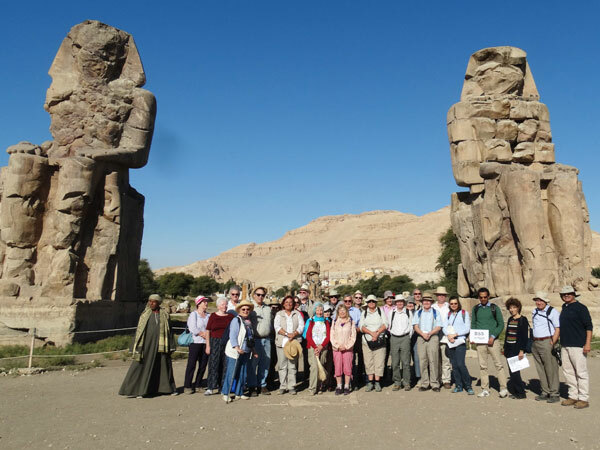 A new course taught in and around Luxor by the brilliant hieroglyphs teacher and BSS favourite, Dr Bill Manley, with 10 classes, and hieroglyphs-reading at a selection of fascinating ancient sites, including 5 Special Openings of sites usually closed to visitors. 24 BSS students enjoyed another fabulous BSS in Egypt. 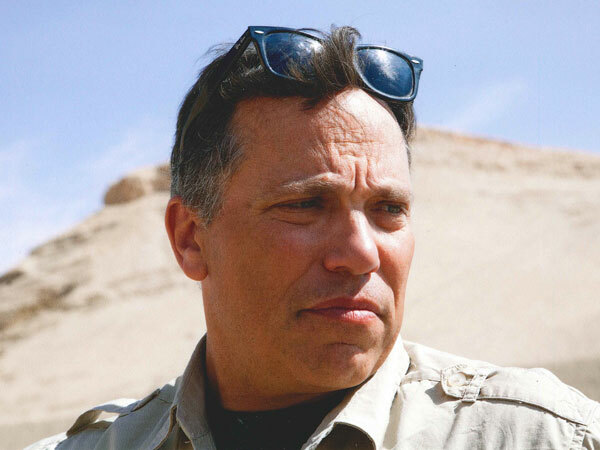 Dr Peter Lacovara taught a great course for us in Luxor: In the Realm of the Sun King: Thebes in the reign of Amenhotep III. This was coupled with relevant site visits including special access to Amenhotep III’s temple remains at Kom el-Hetan, his palace-city remains at Malqata,Tombs of Nobles dating to the reign of Amenhotep III: Djeserkareseneb (TT38) and Horemheb (TT78), and the Tomb of Amenhotep III in the Western Valley. 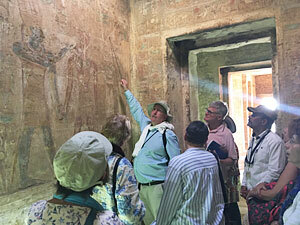 A huge thank you to Dr Hourig Sourizian for a fabulous guided tour of Kom El-Hetan. And a massive thank you to Dr Peter Lacovara for his lectures and tour of Malqata, to Amr El Sharqawy for his extremely knowledgeable guided tours, and to Lee Young and Galal Alsenusy of Egypt Archaeological Tours for their brilliant organisation of this course/tour. We have come to the end of another great summer at BSS. 8 courses attended by just over 150 students of all ages and levels of knowledge. 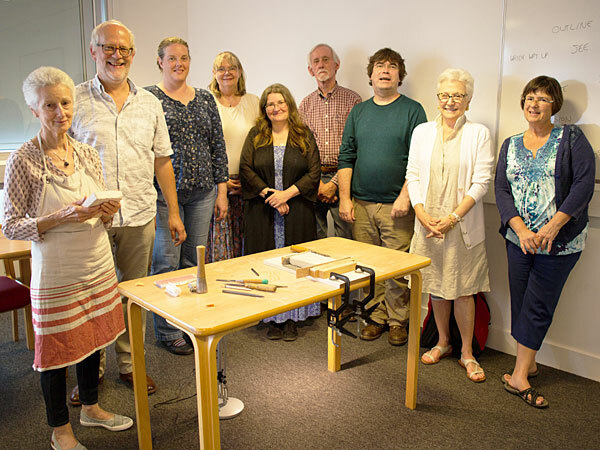 A highlight of Dr Kathryn Piquette's fantastic course on the Technologies of Ancient Egyptian Writing in our final week was Mick Oakey's stone carving workshop. 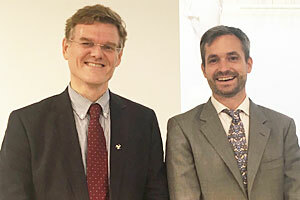 Andrew Robinson, author of The Indus: Lost Civilisations, delivered four fantastic lectures to a great turn-out of 160 of us, keen to discover more about this lesser-known ancient civilisation. We certainly didn’t go home disappointed! We are thrilled to announce that we have been able to make a generous donation to further conservation in the Petrie Museum through the actions of Dr Robert Morkot who has waived his BSS in Egypt lecturing fee in favour of supporting the conservation of Nubian objects in the Petrie Museum. Another opportunity to join BSS for a course in Luxor. 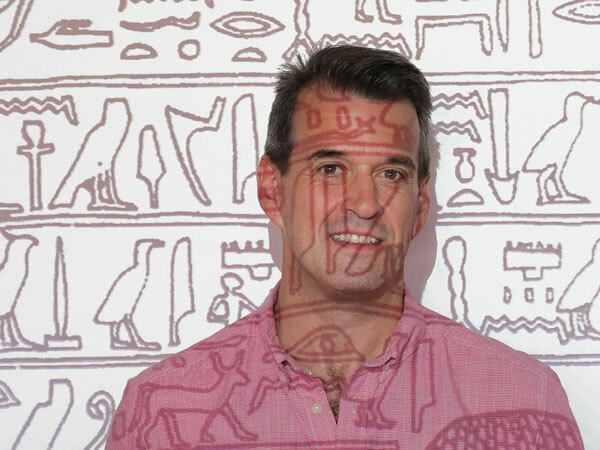 This time studying one of Ancient Egypt’s most fascinating pharaohs – Amenhotep III – with Dr Peter Lacovara, Co-Director of excavations at Amenhotep III’s palace-city at Malqata. A series of 10 lectures combined with relevant site visits, including 5 ‘special openings’ of sites usually closed to visitors. 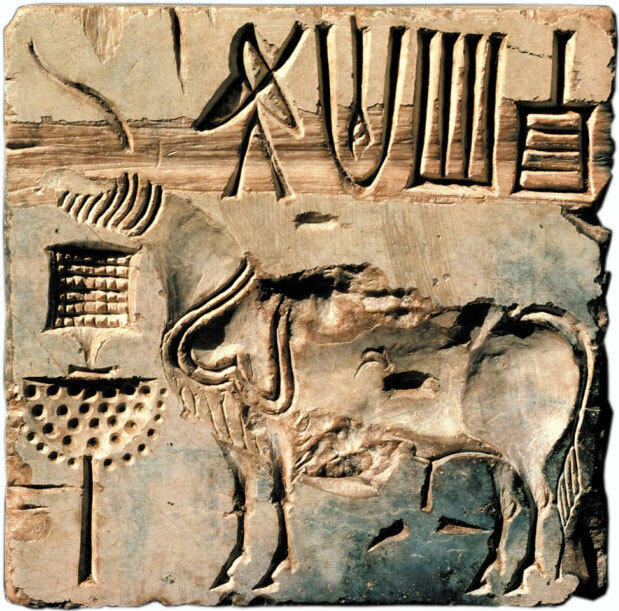 Our Spring Study Day sees the return to BSS of Andrew Robinson, author of The Indus: Lost Civilizations, India: A Short History and Writing and Script: A Very Short Introduction, as he brings us four lectures on the fascinating ancient Indus civilisation. 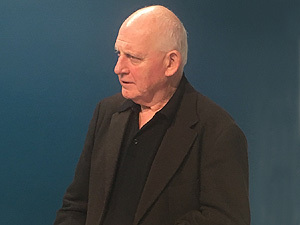 John Romer lecturing – December 2016 BSS Study Day. 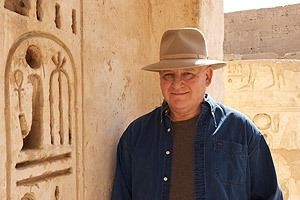 John Romer’s television programmes and books have inspired many of us, and for many have sparked a lifelong interest in Ancient Egypt. 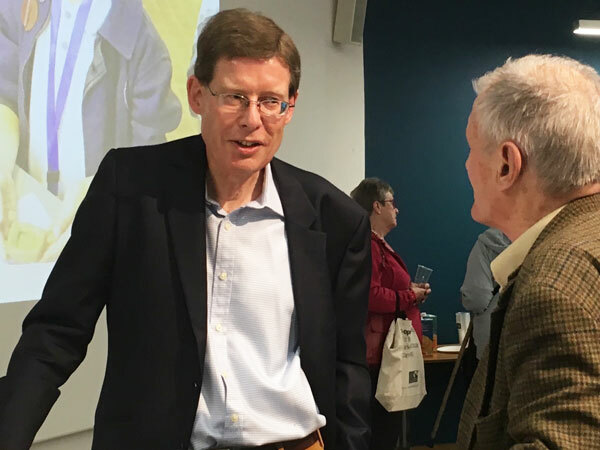 On 10th December we were fortunate to hear John Romer give four lectures at our BSS study day, tying in with his latest book A History of Ancient Egypt: from the Great Pyramid to the fall of the Middle Kingdom. Dr Robert Morkot sharing his insights with BSS in Egypt students at the Temple of Amada. Our BSS in Egypt 2016 course ‘Nubia: a journey through a drowned land’ in Aswan and on the shores of Lake Nasser was a great success. 19 of us had a fantastic time, very much thanks to our lecturer Dr Robert Morkot, our guide Ahmed El Saghir, and our tour coordinator Galal Alsenusy of Egypt Archaeological Tours. Thank you all! Our study day on September 17th tied in beautifully with the current underwater archaeology exhibitions at the British Museum in London and Ashmolean Museum in Oxford. 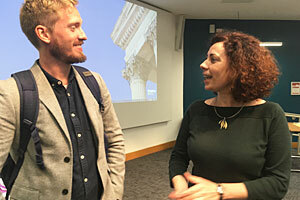 Curators of these two exhibitions, Aurélia Masson-Berghoff and Paul Roberts gave lectures, as did the underwater archaeologist Peter Campbell, and director of excavations at the Egyptian port of Naukratis, Ross Iain Thomas. 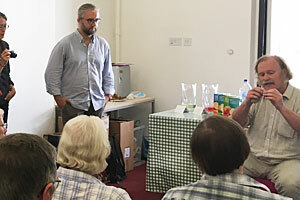 4 weeks, 8 courses, 161 bookings - July was a fantastic month at Bloomsbury Summer School. Thanks to all our great course directors, guest lecturers, course coordinators, and of course to so many of you for attending our summer schools! 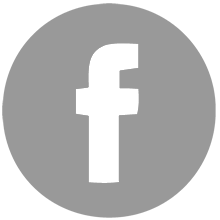 Our December study day will be a rare opportunity to hear John Romer speak in the UK. 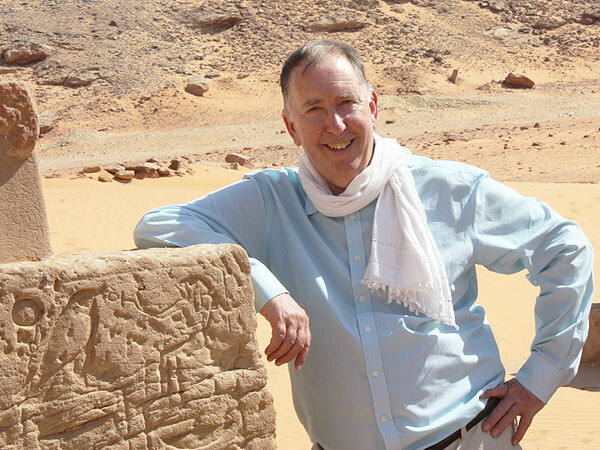 Come and hear this thought-provoking and charismatic Egyptologist give four lectures to tie in with his latest book: A History of Ancient Egypt Volume 2: from the Great Pyramid to the fall of the Middle Kingdom. This day of 4 lectures will focus on this summer’s most talked about topic: Shipwrecks and Sunken Cities: maritime archaeology shedding light on Egypt and the Mediterranean’s ancient navigation, trade, industry and religion. 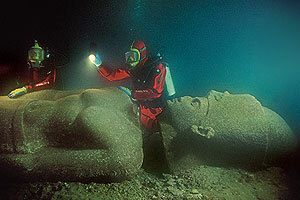 The curators of both current blockbuster underwater exhibitions at the Ashmolean Museum and British Museum will be speaking to us, alongside archaeologists from the excavations at the port of Naukratis in Egypt’s Delta, and the shipwrecks in the Fourni archipelago near Turkey. Exciting times were certainly had at BSS last Saturday! Dr Renée Friedman, Director of the Hierakonpolis Expedition brought together eminent members of her team to share their latest excavations and ideas with 170 of us at our Summer Study Day. We went home with our brains whirling with new interpretations and information. A huge thank you to Reneée Friedman, Wim Van Neer, Liam McNamara and Stan Hendrickx for an enthralling day. 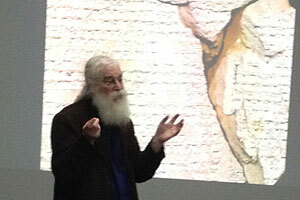 The British Museum’s charismatic, provocative, and deeply knowledgeable Assyriologist Dr Irving Finkel delighted 175 BSS students on March 5th. All the questions and comments from the audience really added to the day. Very many thanks to Irving Finkel for sharing his extraordinary insights, and so much pre-publication research with us.